Join us for the third Hacking Oil & Gas Café to further discuss the digitization of oil and gas, and technology. 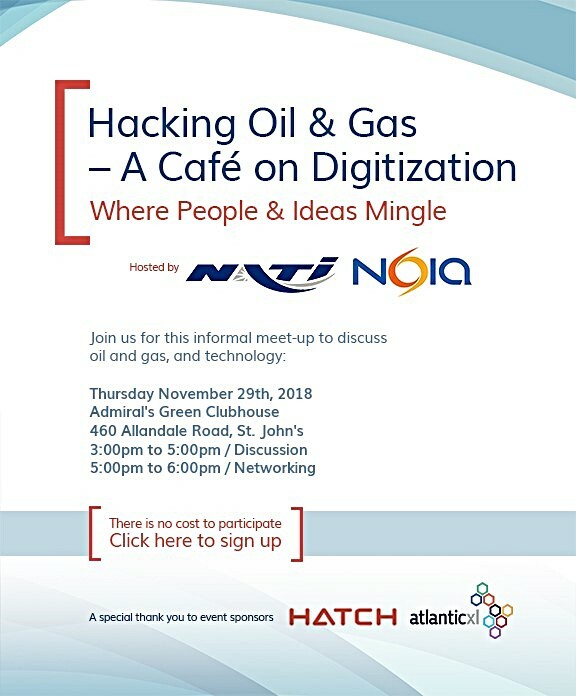 This informal meet-up is hosted in partnership by NATI and NOIA, and sponsored by HATCH and Atlantic XL. Refreshments will be provided and participation is free. Save your seat today!